Finishing a book is a funny thing. First, there’s utter relief, a sense of pride, the feeling that you’ve finally made it – you’re an author. Then, you look to publish, and whether you go down traditional routes or start off as a self published e-novel author, there’s that desperate hope of hitting the jackpot and making sales. And then, a few days after your book has gone on sale, regardless of how many copies have been bought, there’s that instant need to write again. Many say that being a writer is like having homework for the rest of your life. Whilst you may procrastinate and find it hard to actually sit down and write, once you’ve finished a story, you’re eager to start another. You can be walking down the street and a certain scene, smell or sound sparks something in your imagination and off you go. I’ve never found that I’ve had to actually sit and think, ‘I want to write, what shall it be about?’. There’s always some idea, some unfinished work, or the possibility of a novel sequel in the offing. The best time to write again is immediately after you’ve finished your current WIP (Work in Progress). If you’ve been published by an agent, then you may be busy doing readings, looking at artwork or going to constant edit meetings. If you’re self published, then a vast amount of time will be taken up with your own marketing and advertising. But, amongst all of these extras, don’t forget to stop writing. Especially if you’re releasing your first book, then taking the plunge and working on the next novel will help you no end as you’ll be able to offer a catalogue of titles to readers throughout the years. You only need a reader to love one novel, to gain many more sales from your other titles. 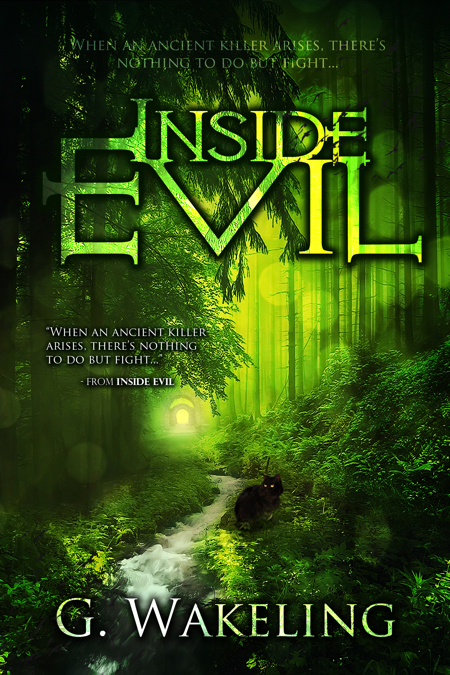 So, though Inside Evil may only just be published, I’m already preparing to sit down and start writing again. Will it be to finish my other science fiction novel, or work on a sequel to my début book? Of that, I’m not quite sure yet. But, whilst the marketing process beings, one thing that will help keen me sane is beginning the writing process all over again.